The owner were extra friendly and they made us feel like home. Free breakfast, towels and such cleanliness levels are overwhelming at such a price. Also it is very near the train station. Cute little guesthouse in a neighborhood way off the tourist trail. Everyone was super friendly both at the guesthouse and at the local shops and warungs. It was really easy to arrange a trip to Ijen and then onward transport to Bali. Breakfast was delicious. The people who work there are very nice and very helpful, and they speak English. We went on a tour to mount Ijen and when we arived back at the hostel around 11:30 they had saved some breakfast for us! And they also offer free pick up and drop off to the train or bus station. Breakfast was amazing. Simple rice with eggs and fried potatoes. Free tea, coffee, and water for unlimited refills. Receptionists reply very fast and super friendly. They also provide us with pick up service from the train terminal. They do offer tour services to Ijen too. Staff were great, they arranged a taxi for us from the train station and ordered us a Grab upon leaving. Room + bathroom were a little dirty - cobwebs etc but nothing unmanageable. The free breakfast was one of the best we've had in Asia! It was amazing. Location is a little out of the way but nice to be surrounded by fields and lots of friendly locals. The hotel is simply equipped but it's sufficient for a short stay. The breakfast was surprisingly huge and really nice. The staff was very helping, we came late at night and in spite of that they were able to arrange a trip to Ijen for us for which we left in less than five hours. The travel guide, Hasim was amazing, showed us everything and was helping on the way when the terrain was tricky. We came only for one night but it would be worthy to stay a bit longer. 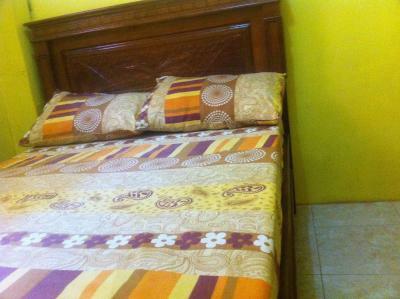 Lowest price for a hostel. Room was very good. Traditional breakfast was included. Staff was very friendly and organized the Ijen tour for us. Ijen was such a great experience. The guide was so friendly. We would rebook this hostel. The guest house is located in the middle of rice fields and at walking distance from the train station. It offers the Kawah Ijen tour in the middle of the night. It’s really well arranged and the guide was amazing. When we got back from the tour there was a nice Indonesian breakfast waiting for us. The owner is super nice. He was extremely helpful at all times. We didn’t have money on arrival and te cash machines were far away durong night time and he let us pay on the following day, including the tour yo Kawan Ijen that he organized for us. Thank you ery much!! Kampung Osing Inn This rating is a reflection of how the property compares to the industry standard when it comes to price, facilities and services available. It's based on a self-evaluation by the property. Use this rating to help choose your stay! One of our best sellers in Banyuwangi! A 5-minute drive from Karangasem Train Station, Kampung Osing offers budget-friendly accommodations with shared kitchen and living area. Guests who drive enjoy free parking privileges. Included in all rooms are a fan, desk and a wardrobe. A shared bathroom is available for guests' use. Kampung Osing is an hour's drive from Baluran National Park and Banyuwangin Airport. It is 16 mi from Ijen Crater. Guests can watch TV in the shared living area or rent a car and explore Banyuwangi. Laundry service is offered at a fee. Indonesian breakfast is served in guests' rooms or in the shared dining area every morning. When would you like to stay at Kampung Osing Inn? This room is equipped with a fan. Guests can make use of the shared bathroom. House Rules Kampung Osing Inn takes special requests – add in the next step! 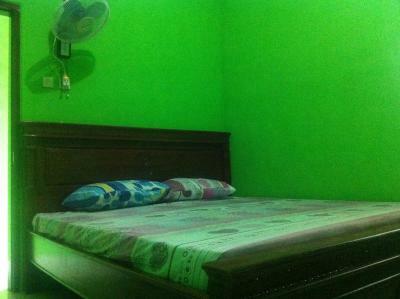 Any additional older children or adults are charged IDR 30000 per night for extra beds. Please inform Kampung Osing Inn of your expected arrival time in advance. You can use the Special Requests box when booking, or contact the property directly using the contact details in your confirmation. Really nothing, except the fan if you expect an AC instead. But please keep in mind that your are in Indonesia and you pay nothing compare to other countries. Do you really have AC at your home place? And it’s a small room with share toilets and bathroom but again you know it in advance and it really cheap. So it worth the price IMHO. Maybe one of the best homestay you can expect for Kawah Ijen hike. You can first stop at Karangasem stasium (train station) instead of Banyuwangi where everyone goes. Then you can walk 15min up to the homestay (best way to save Rp). Once arrived, the guy at the reception is really adorable and helpful. Even via email he was responding quickly. We were able to book our trip to the Ijen with a driver and a car for just 400k Rp, knowing it included the entree at the Ijen, 1hr car drive, the guide (Sam, so nice guy, willing to stay at the stop while he was so freezing just for them to be able to see the lake at the sunrise) for 1hr30 hike and the transfert to the ferry harbour if you plan to go to another island. In the meantime you leave your stuff during the hiking, once back you can get a shower. Pack your stuff, check out, and pay everything by card (hell yeah!). You will also have a nice local breakfast before leaving. Drinkable hot and cold water are available. And a street at the right angle you can bring food or stop at a warang for local dish. No doubt you can book there and wake up at midnight without worrying. Bed wasn’t that comfortable, bathroom is kind of outdated. Nothing. You pay for what you get. Simple clean room. 2nd time here. No wifi. No hot water in shower. The room smell too bad. We can not find receptionist all the day. The hostel is too far from everywhere. We could not even see people in the streets. Manager could not take a gojek for us. He said he did not have the app. no ac, no hot water, fan wasnt working. good enough for one night. they came to pick me up at the train station and they arranged the tour for me. Great value in a lovely little village which is not touristy at all. The staff arranged our tour to ijen for a fair price and it was great! 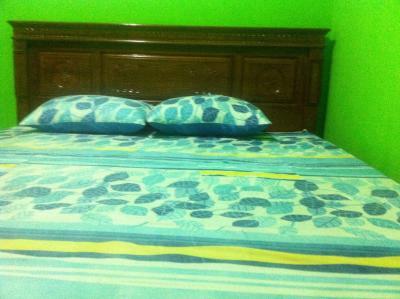 Room and facilities were good for the price and it was spotlessly clean. A great option for backpackers to visit Ijen. Beds, no AC, bathroom is dirty. No AC, no hot shower, you have to pay for the shuttle to the train station now. My bed was very uncomfortable and I couldn't not sleep because of the million bugs attacking me. It is very hot in the rooms, breakfast is good but small. Ijen was closed when we went but we decided to keep our accommodation to spend some time with the locals. Our host recommended few restaurants in the small town, people were very friendly in the area. 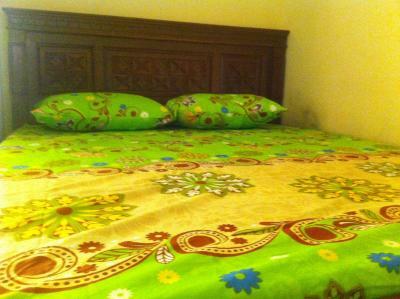 The guest house offers basic services, and the staff is really friendly. Breakfast was really good. Tours usually start at midnight so great place to stay for few hours.